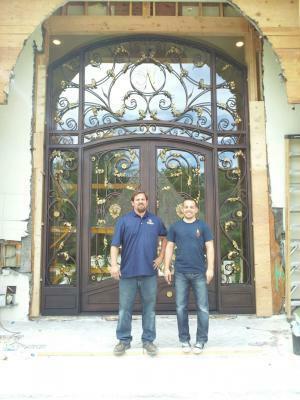 Signature Iron Doors builds the highest quality doors in the Phoenix Valley. Whether it is new construction or a remodel our doors are head and shoulder above the competition. We designed this Iron Door with our client to match exactly with their vision well as to match the existing iron railing inside their home. Whether you door is small or large we would love the opportunity of supplying you with a high quality Iron Entry Door. Visit our showroom in Phoenix our feel free to visit our website.